"We don’t get burned out because of what we do. We get burned out because we forget why we do it." Having a vision for your life and knowing where you are going is powerful but it’s even more powerful when you know why you are going there. Purpose is the ultimate fuel that moves you towards your vision. Living life without purpose is like driving from New York to California on one tank of gas. You’ll be running on empty before you know it. But knowing your Why and having a purpose is like having gas stations along your route where you can recharge and refuel to keep moving towards your destination. You will face adversity, but when your purpose is greater than your challenges and you know why you are moving towards your North Star, you become an unstoppable purpose driven force of positivity. When you know your why and know the way, you will find a way and won’t let obstacles get in your way. So, what is your Why? Why are you here? What difference do you want to make? What will keep you going through all the obstacles and adversity you will face in life? These aren’t easy questions to answer, but take time to reflect and think about them. In my book The Seed, I write about finding your purpose and I challenge readers to ask themselves, "Why am I here?" It is the most important question they can ask and living their purpose is the most important thing they can do. Identify your Purpose. You may not know your ultimate purpose yet but write down what will inspire you to move towards your North Star. 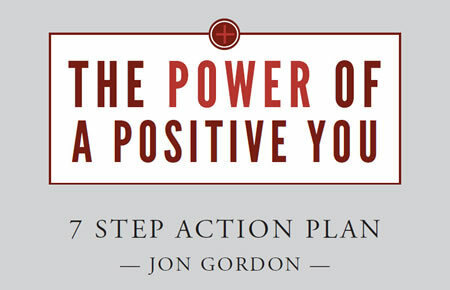 This article is part of our "The Power of Positive You: 7 Step Action Plan." You can download the full action plan here. 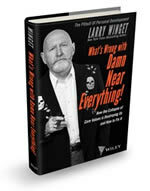 My fellow Wiley author Larry Winget doesn't pull punches. He doesn't dance around the tough questions. His approach is direct but he gets to the point and makes you think. In his new book he examines the four major pillars of life and how they've become eroded due to the collapse of our core values. He also shares simple truths to troubleshooting everyday problems in life and business. You can grab a copy from Amazon, at Wiley's website or anywhere books are sold.